Revival is bringing something that is dead back to life. Much of today’s Church needs reviving. When God comes in an unusual way, releasing His presence and power over and above what a church normally experiences, we call it a visitation of God. Every visitation of God should become a habitation of God and become a move of God, going beyond that church into the community, city and nation. The move of God results in evangelization, missions and the fulfilling of the Great Commission. 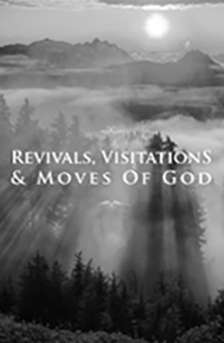 Starting in the book of Acts and down through the Centuries, there have been numerous visitations and moves of God.